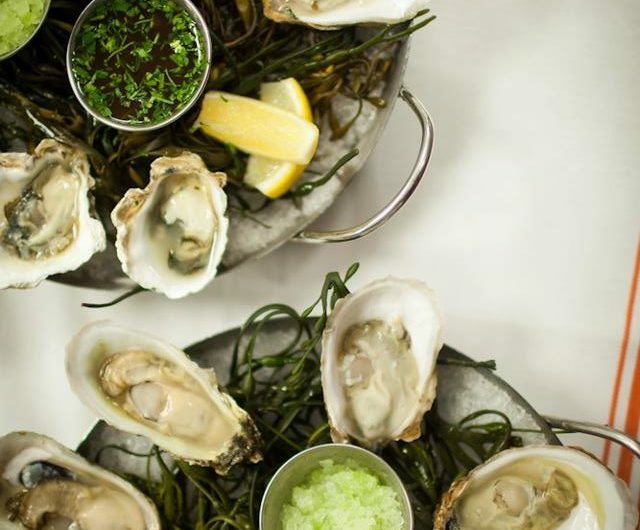 Meetup: Baykeepers and Dinner at L&W Oyster Co.
We’re excited to announce the next NY Oyster Lovers Meetup will be at L&W Oyster Co.! We’ll be gathering for dinner on Monday, February 25th at 6:15 pm at 254 Fifth Ave (and 28th). And for the first time, we have invited a guest speaker from NY/NJ Baykeepers. The Baykeepers are tireless advocates for the protection of NYC waterways and they are leaders in oyster bed restoration. Oyster Program Director Meredith Comi will give a short talk on the Baykeepers’ projects, how oyster beds impact our watershed, and what we can do to contribute to their efforts. Then, we’ll dig into dinner at L&W Oyster Co., a new oyster bar and seafood restaurant from the team behind Almond. Chef Jason Weiner and manager Antonio Rappazzo have been hard at work on the following menu, which I can’t wait to try! The price for this dinner is $45 plus tax and tip. If you order any drinks or other menu items a la carte, please settle those with the server on your own. Our group is capped at 12, so if you’re interested in joining the fun, sign up today before we’re out of space! Note: refunds will not be issued for this event, so please be confident that you can make it.